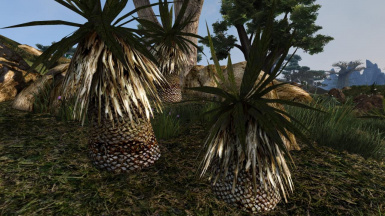 Fixed meshes for Graphic Herbalism are also included. 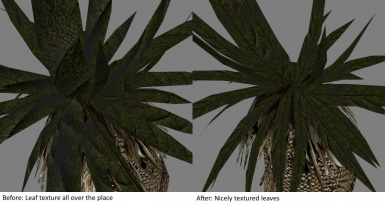 They use the leaf parts of the original GH meshes. Copy the "meshes" and "textures" folders into your "...MorrowindData Files" folder. Overwrite existing files. No esp file needed! To install the meshes for Graphic Herbalism, copy the "meshesgherb" folder in "Extras" into your "...MorrowindData Files" and overwrite existing files. Just remove the files "flora_hackle-lo_01.nif" and "flora_hackle-lo_02.nif" from your "...Data FilesMesheso" folder as well as "Tx_Hackle-lo_01.dds", "Tx_Hackle-lo_02.dds" and "Tx_Hackle-lo_03.dds" from your "...Data FilesTextures" folder. 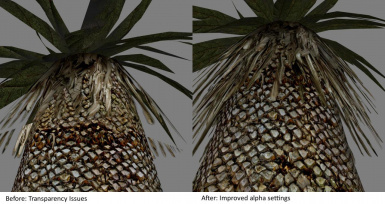 This will restore the original meshes and textures. To remove the graphic herbalism meshes, remove "hackle-lo_01_P.nif" and "hackle-lo_02_P.nif" from your "...Data FilesMeshesgherb" folder and restore the original files from Graphic Herbalism. This will conflict with any other mod that changes the meshes of the hackle-lo plant. These meshes are made to work with best with the textures included, but any other textures for hackle-lo shoult work fine, as long as Tx_Hackle-lo_01.dds is completely seamless, Tx_Hackle-lo_02.dds is seamless in horizontal and Tx_Hackle-lo_03.dds in vertical direction. 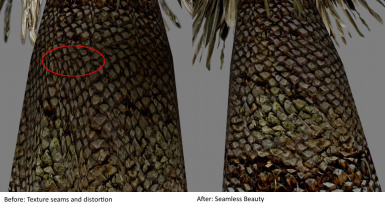 This is especially important for Tx_Hackle-lo_03.dds, the leaf texture, which has the greatest changes made to its uv mapping and which is not seamless in the replacers I know. Just try how it looks with the textures you like to have.